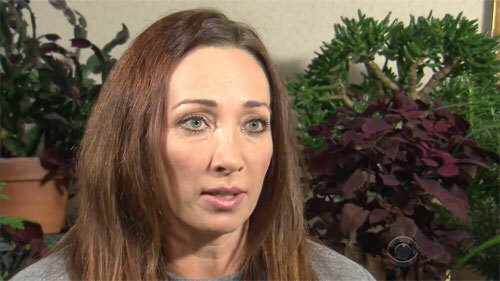 Photo shows Amy Van Dyken speaking in 2014 about her spinal cord injury rehabilitation. The dinner will also feature presentations of four annual USOC awards, including the Jack Kelly Fair Play Award presented by BP, the Olympic Torch Award and the Rings of Gold awards for both an individual and a program. The four award recipients will be announced prior to the assembly next week. More than 400 participants are expected to attend, representing Olympic, Paralympic and Pan American National Governing Bodies. Amy is currently fighting to regain the use of her legs after suffering a devastating spinal injury that was once considered irreversible. Don Dahler reports that may be changing thanks to a new type of treatment. Amy Van Dyken is a retired Olympic swimming gold medalist. She is the first woman to win four gold medals. Since her retirement, Van Dyken has toured on a number of speaking engagements to groups as varied as schools and multi-national corporations, she has been a DJ on a sports radio show in Arizona, served as the side-line reporter for the Seattle Seahawks & Denver Broncos football teams. She became the first woman to win four gold medals at a single Olympic Games in 1996, and added two more medals in 2000 before retiring. Amy was recently involved in an ATV accident that severed her spinal cord in 2014 and is undergoing rehabilitation. Sports Speakers 360 is a booking agent for motivational sports speakers. If you would like to book athletes like Amy Van Dyken for a speaking engagement, autograph signing, guest appearance, charity fundraiser or corporate event, contact Amy Van Dyken’s booking agent for appearance and speaker fees or call 1.855.303.5450.